I am so very honored and excited to invite Scott Hein, PT, DPT and certified therapeutic pain specialist (TPS) to come and share his insight and passion about studying pain science and treating patients with persistent pain. Scott will discuss the source of pain and how evidence shows it can best be treated with a biopsychosocial approach. 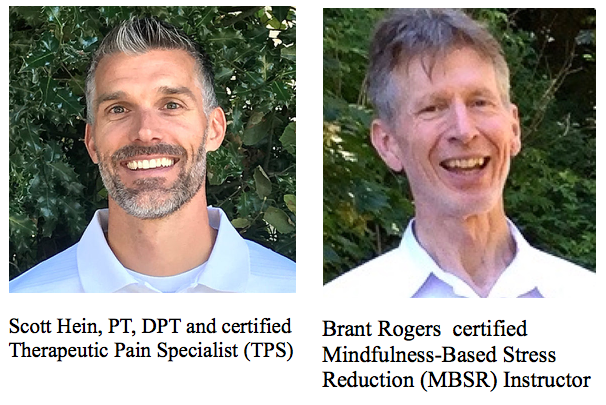 I will lead the topic of the power and practicality of mindfulness practice in the approach to treating pain and stress. Scott and I will guide you through learning, practice and discussion that may help you in practical ways with patients and with self-care. Be our guest on Saturday, April 20; 5-7pm. For licensed physicians and therapists; MD, PhD, PT, LCSW, PA, LPC, OT, NP, RN & others. RSVP. Tuition is $20 and a certificate of completion for 2 contact hours of training will be provided. Come in informal, comfortable clothing. Informal and with a changing room if you wish. Previous PostPrevious 15th Anniversary Celebration. Saturday, March 23rd; 3-7pm. All Welcome! 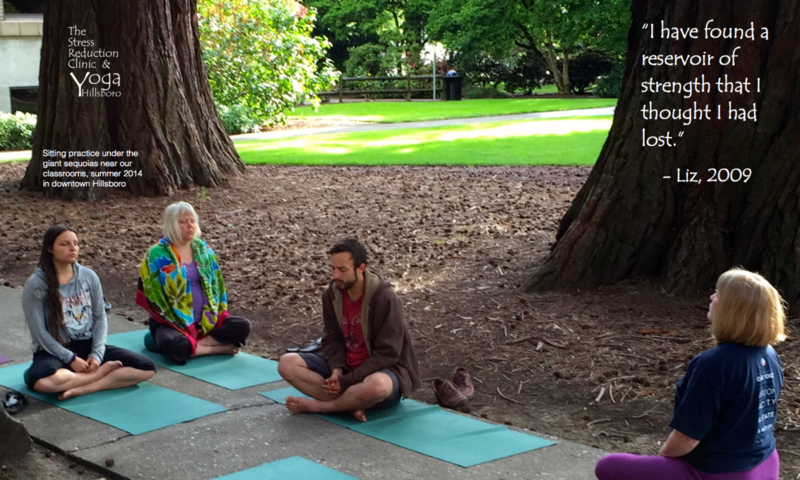 Next PostNext Student Shares His Enthusiams for Golf & Yoga!